Brainwashed - Mamiffer, "Statu Nascendi"
This may be the first album from partners in music (and life) Faith Coloccia and Aaron Turner since 2011, but the two have been anything but stagnant in those past few years. Collaborations with other artists as Mamiffer and side projects abound between these two restless artists, and the duo are even hesitant to consider this the proper third album. 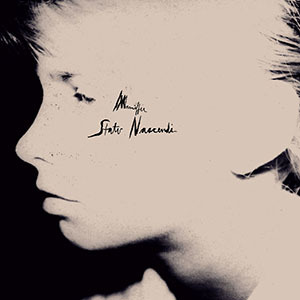 Regardless of how it officially stands in their overall canon, Statu Nascendi is a powerful work that strips the Mamiffer sound down to its organic core. Previous Mamiffer works have existed in the nebulous space between metal, ambient and noise, but this record has the duo focusing more on moody, spacious styles. Turner’s guitar throughout these four pieces is kept low in the mix, occasionally drifting into dissonance such as on the lengthy "Enantiodromia." Even here, however, it stays under tight control and instead of blasting aggressively it enriches a hazy, shoegaze type drone. Paired with the sounds of an organ, it melds into a beautiful fog. The first piece, "Caelestis Partus," is the most stand-alone, and one of the more traditional sounding ones in their overall discography. Turner's guitar is pushed deep and isolated in the mix, awash in cavernous reverb. Delicate vocals appear a few minutes in, resulting in an uplifting and more inviting accompaniment to the otherwise bleak and dour guitar sound, which builds to a darker, dramatic conclusion. The focus of the album is Faith Coloccia's vocals, which are utilized on each piece on the album. Her voice is beautiful, yet somber, and contrasts the darker instrumental passages. Blended tastefully to be the centerpiece without being overwhelming, her voice gives the album a certain English pastoral folk sound. With its hint of medieval madrigals and bleak accompaniment, there is a beautiful yet mildly sinister sensibility throughout the pieces, most overtly on the closing "Flower of the Field." Coloccia's trademark piano has even been scaled back to emphasize mood over force. It appears heavily on "Mercy," but in a comparably restrained manner than her percussive sound heard on previous Mamiffer records. The piano and vocals remain the focus, however, with guitar being cautiously added to flesh out the piece nicely. If Coloccia and Turner are considering this to not be the third album proper, but a transitional entry until that is released sometime next year, I am quite curious how the new work will sound. The reductionist approach to Statu Nascendi works extremely well, distilling the essence of the Mamiffer sound down to its most essential elements. If the new album is a new direction entirely or an even more stripped down work, I am sure it will be a brilliant work either way.